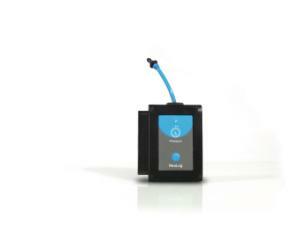 The NeuLog Pressure Logger Sensor helps you monitor chemical reactions involving gases. It also helps you investigate Boyle's Law and Gay-Lussac's Law for ideal gases. It's an perfect sensor for studying weather phenomena. The sensor is connected to a small, stainless steel tube that connects to pressure sources, and it supports experiments lasting between one second to 31 days.